I’m back. Lots of you asking “have you stopped blogging”?. To be honest when I hit 5000 views I thought I’d put my foot to the floor and try and double that number with more and more posts for your brilliant readers. However life just got in the way and I have gone from writing 3 posts a week to 1 a month. That was definitely not my intention. Life is brilliantly busy at the moment but I’m back with some fashion tips and I hope to pop up something now and again over the summer months. A friend recently commented on the number of blazers I own and how I wear them. So I thought that I might write a little fashion piece on one of my favourite pieces of clothing – the Blazer. If you have a blazer sitting in your wardrobe, now is the time to pull it out and wear it with style. I love wearing blazers and have them in several different colours. Here are some handy tips on how to wear your blazer with panache. You will suddenly find you have a number of new outfits to wear to work, a night out or a day’s shopping with friends. Blazers can be worn everywhere, everyday. You don’t need a special occasion to pop on a blazer. I wear mine over a pair of jeans and converse while shopping, heading to a meeting in work over a nice dress or going out for a drink with the girls. So don’t be afraid to wear your blazer at any stage. It will make you feel and look great. You can never have enough blazers. They are quite cheap to pick up and never go out of fashion. Choose the right blazer for your shape so make sure and try it on before buying. Keep an eye out in your local high street stores throughout the year. You will find them in light fabrics for the summer and heavier ones for the autumn/winter. My favourite way to wear a blazer is left open, over a casual t-shirt teamed with a pair of skinny jeans and converse or a pair of flats. Don’t be afraid to make your blazer hug and accent your curves. A blazer that is too loose can make you look bigger than you are. I also try to avoid blazers with shoulder pads. In winter, add a nice chunky scarf and you wont need a coat. Blazers are very professional and chic, and as a result, they can make a statement that you are confident and capable in a way that few other clothing items do. For work, I like to wear a neutral colour or a pinstripe blazer. If you have a plain blazer then put a pin stripe top inside. This is a very sharp look and shows you mean business. Blazers can look very smart worn over a knee-length dress or trousers. One bit of advice is always try on the blazer the night before to make sure that the necklines don’t clash. We all love to go out with our friends and want to feel comfortable with what we’re wearing. Now is the chance to maybe put on that little black dress and wear your blazer to give your outfit a classy look. A bright colour blazer looks great over a navy or black dress. Wear a nice pair of heels and you are dressed for the night. If you are catching up with friends in a bar then why not switch the dress for a nice pair of black jeans, sparkly top inside your blazer and a pair of your favourite sandals. There are so many different styles of blazers to purchase now and at very reasonable prices. So next time you are shopping for a cardigan, pick up a blazer instead. Believe me you will feel great wearing it. 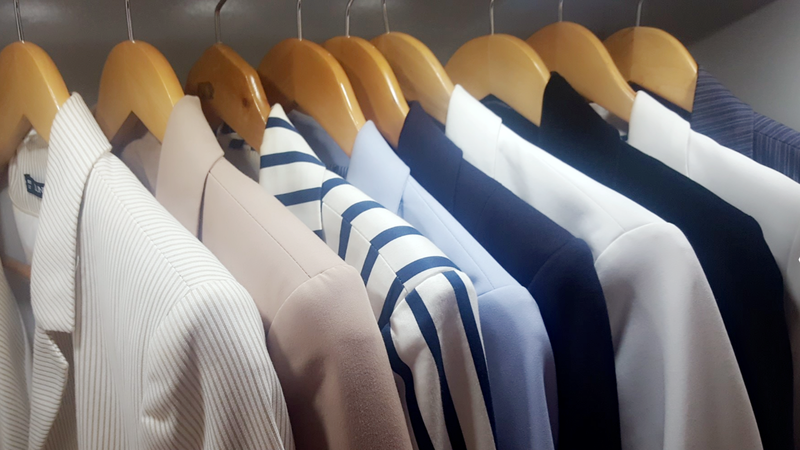 Here are some links to a selection of blazers on sale at the moment and please let me know if you find any blazer bargains. I could always do with a few more.